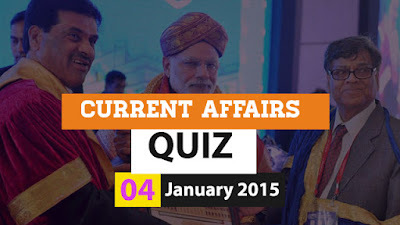 Hi Aspirtants..Here is the Current Affairs Quiz for 4 January 2016. Trending topics for the day include South Asian Football Federation (SAFF) football championship, World Braille Day, Arunima Sinha, e-Vahan Bima Scheme, 103rd Indian Science Congress etc. 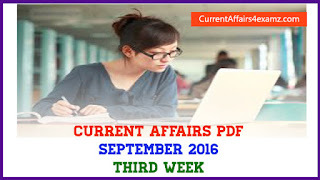 Our online Current Affairs include descriptions with answers and pictures to make learning fun. Attempt the quiz & share your reviews. 1) Which country has won the 2015 South Asian Football Federation (SAFF) football championship? 2) World Braille Day is observed across the world on? 3) India successfully test-fired indigenously developed multi barrel rocket launcher (MBRL) ____ at Pokhran recently? 4) India’s star amputee mountaineer Arunima Sinha recently successfully scaled Mount Aconcagua in which country as part of her Mission 7 Summits? 5) As announced recently, Union Government will roll out LPG-like DBT scheme for kerosene from? 6) Which state on 2 January 2016 launched e-Vahan Bima Scheme to issue motor insurance policy in digital form? 7) Cinematographer Vilmos Zsigmond, winner of an Oscar for Steven Spielberg’s ____ film, passed away on 1 January 2016? 8) Union Government has recently decided to set up CCL Sports University in? 9) PM Narendra Modi on 3 January 2015 inaugurated 103rd Indian Science Congress in which city? 10) Which Committee on IPL spot fixing on 4 January 2016 submitted its report to the Supreme Court suggesting reforms in the Board of Control for Cricket in India (BCCI)?